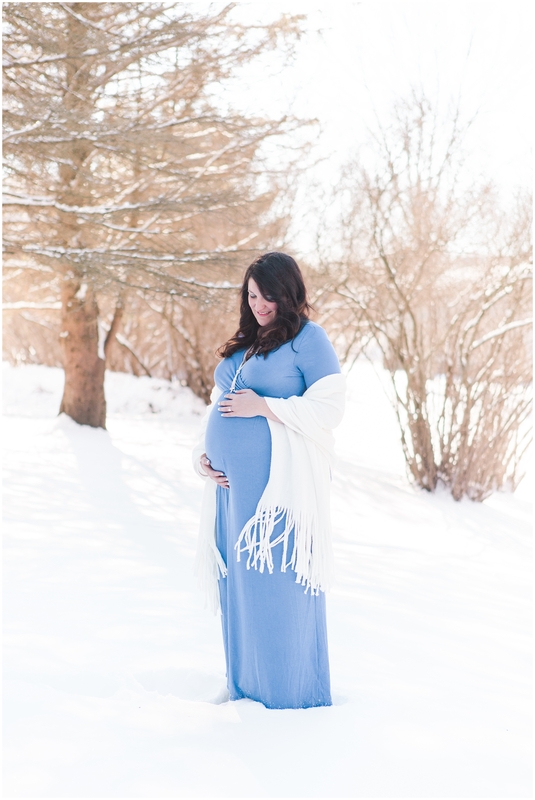 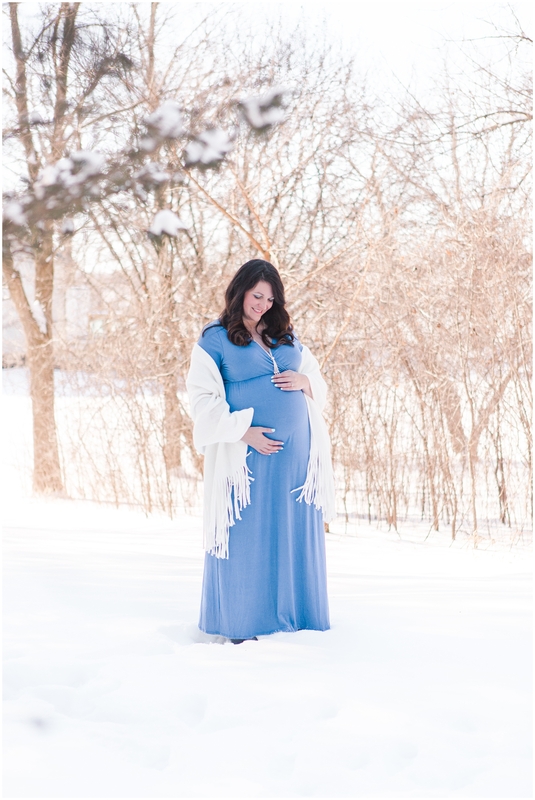 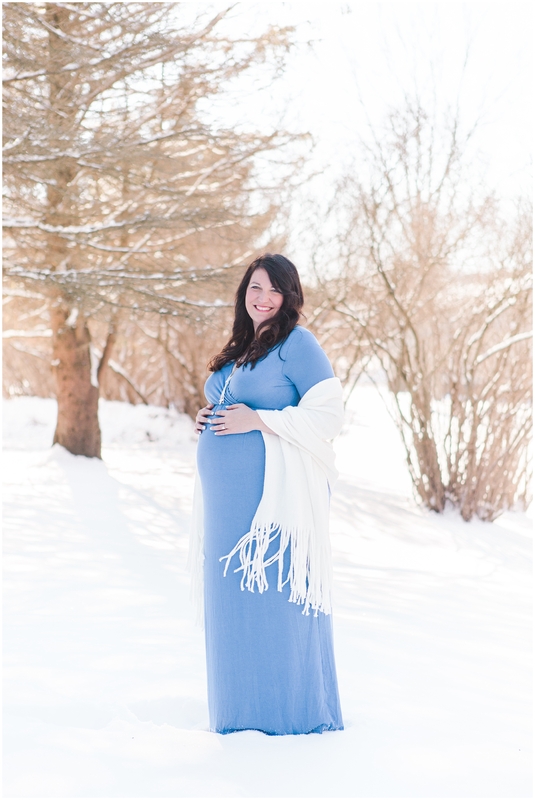 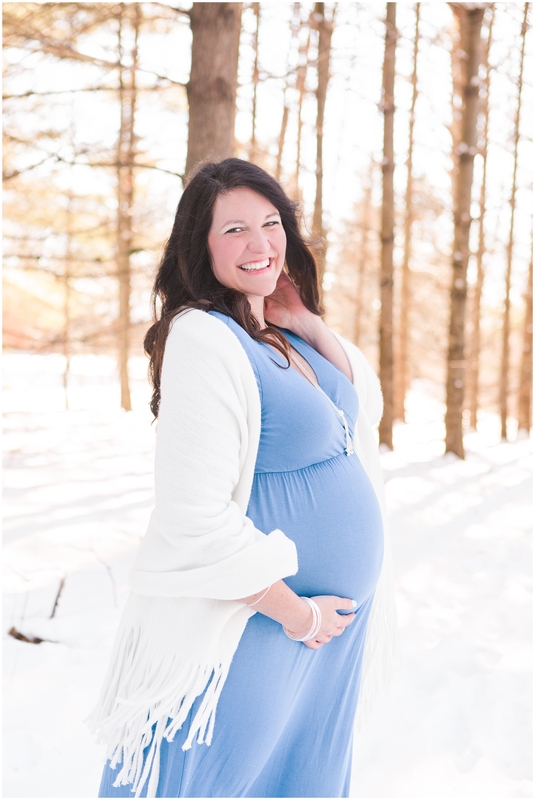 Melissa and James braved the frigid 10 degree Wisconsin weather a few weeks ago for their dreamy winter wonderland maternity session! 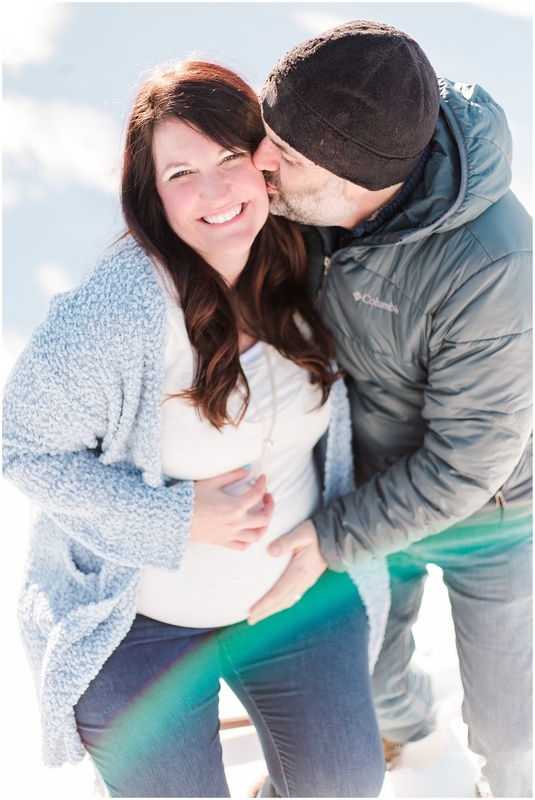 Even with the numbing temperatures, they both were champs and ended up with the most peaceful and cozy pictures in the snow. 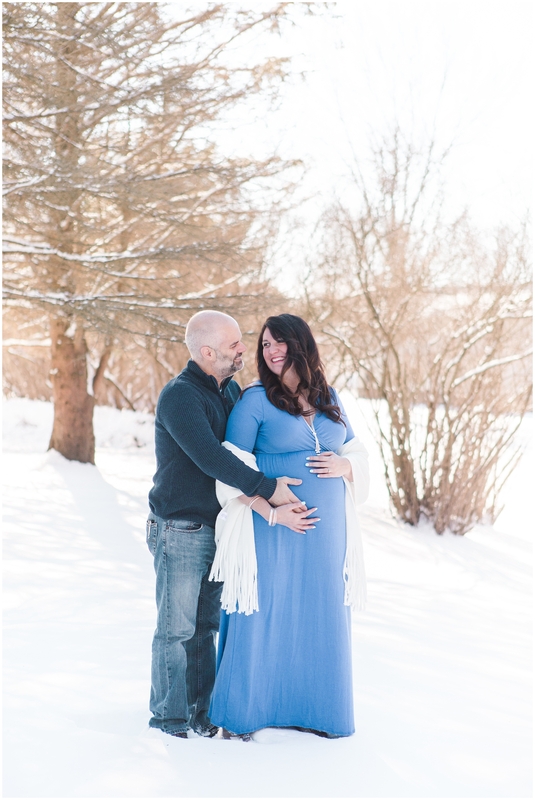 These two are welcoming their first baby (a boy!) 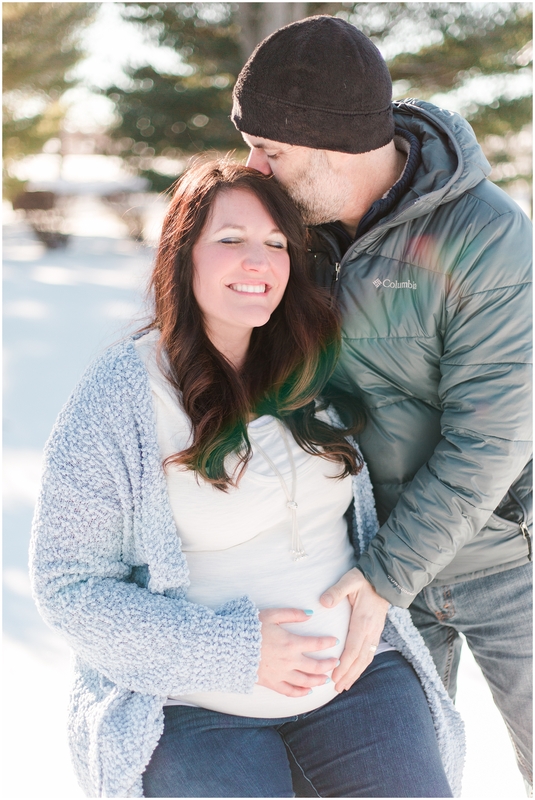 in March, and I was so excited that they asked me to be the one to capture this moment in their lives. 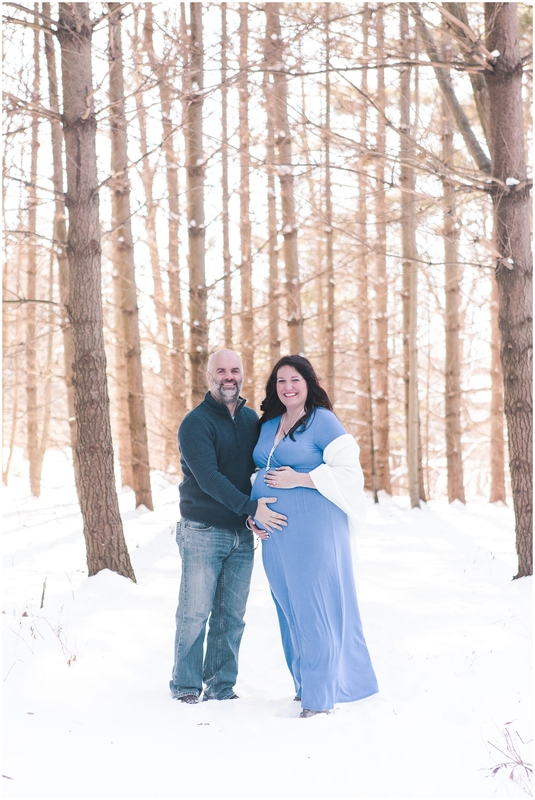 You may recognize Melissa and James from a few of my other sessions; they are great friends of mine and I’ve enjoyed watching them grow from dating, to getting engaged, to getting married, to becoming parents-to-be! 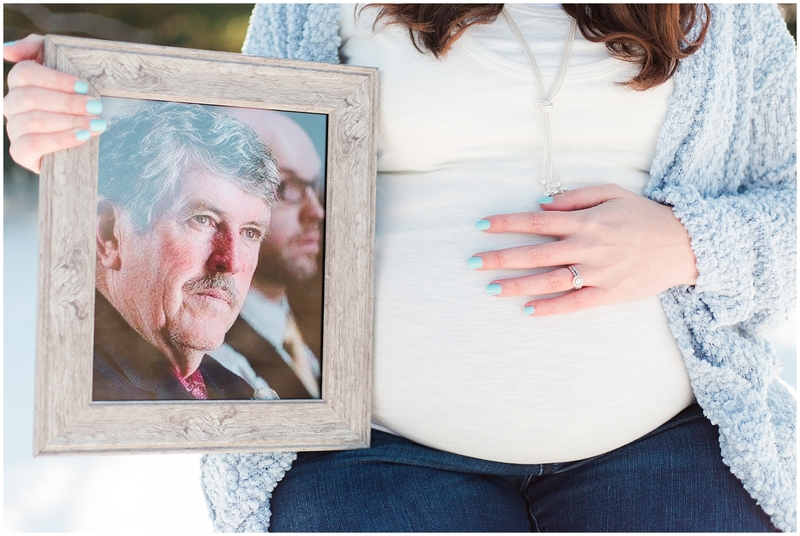 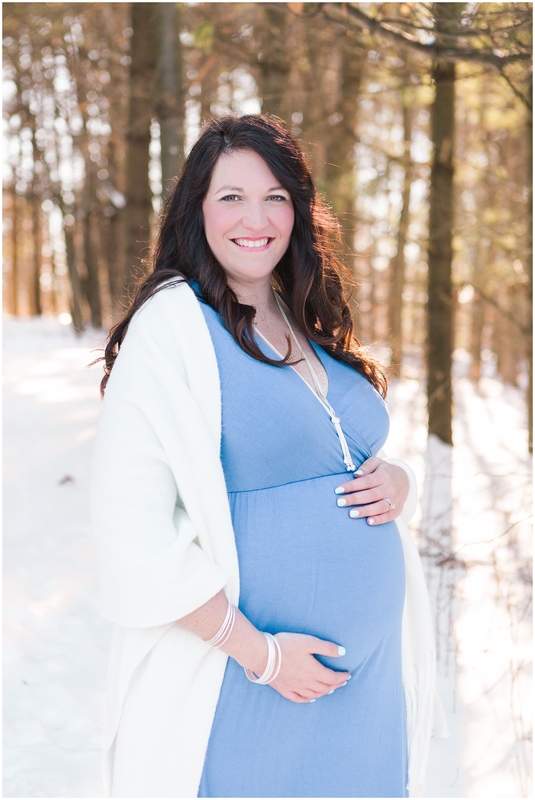 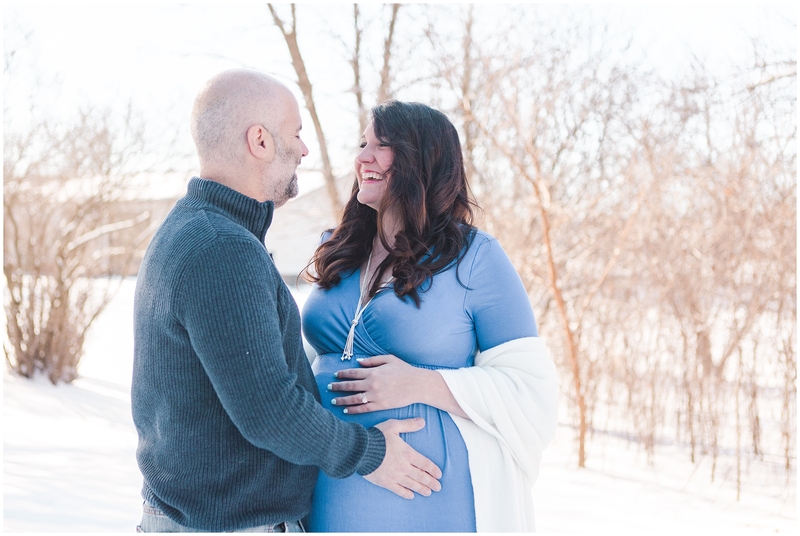 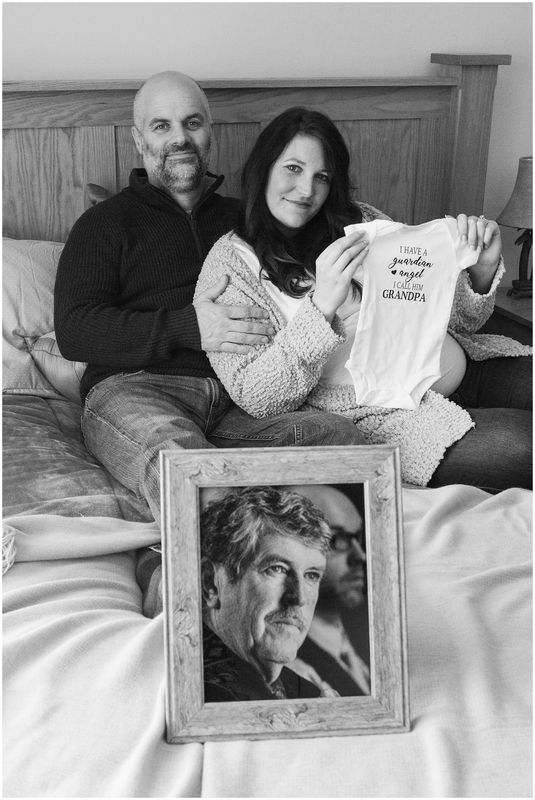 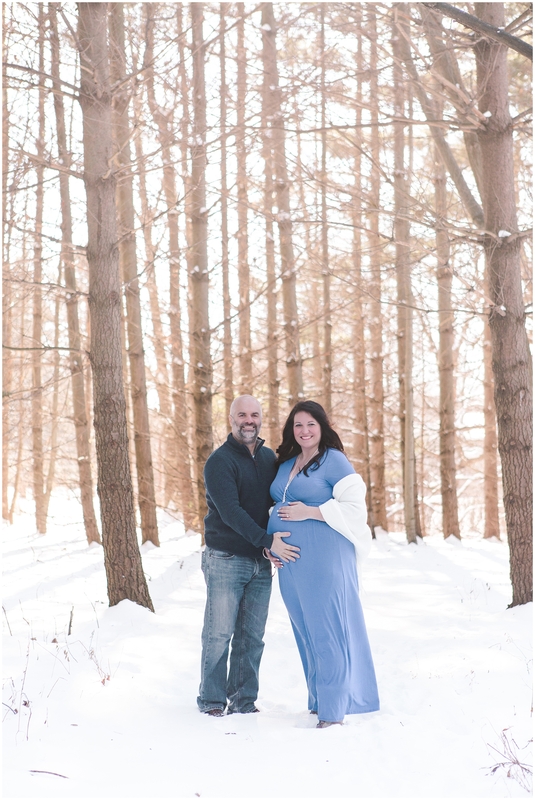 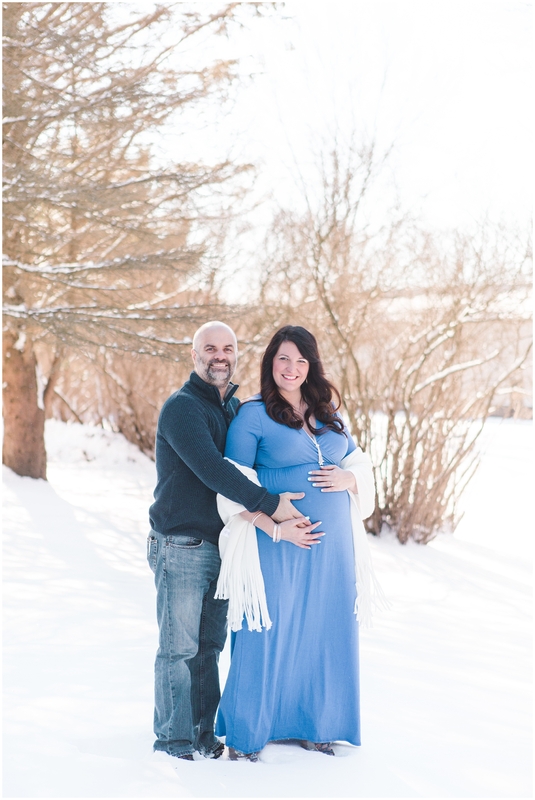 This snowy maternity session was especially touching and emotional, not just because they are so close to welcoming their first son, but also because Melissa wanted to honor another special man in her life…her beloved father, Jim, who sadly passed away just a month before we took these photos. 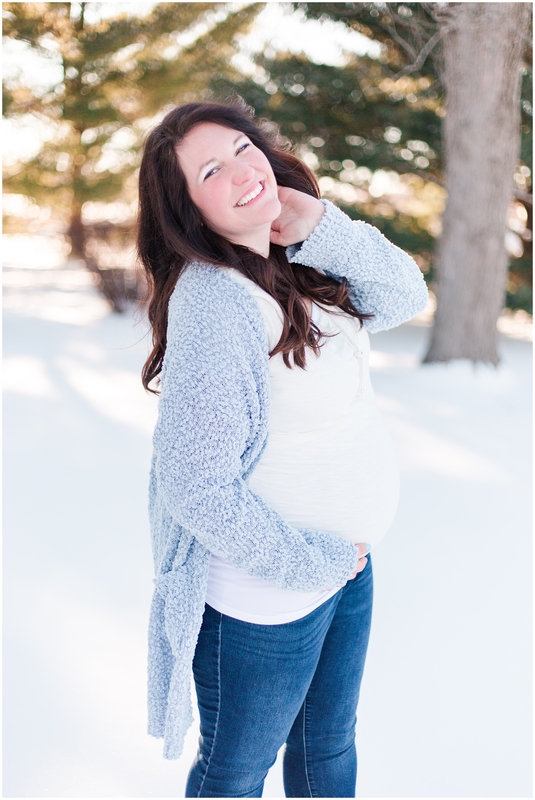 Melissa’s strength, positivity, and unwavering faith during this time has been truly remarkable. 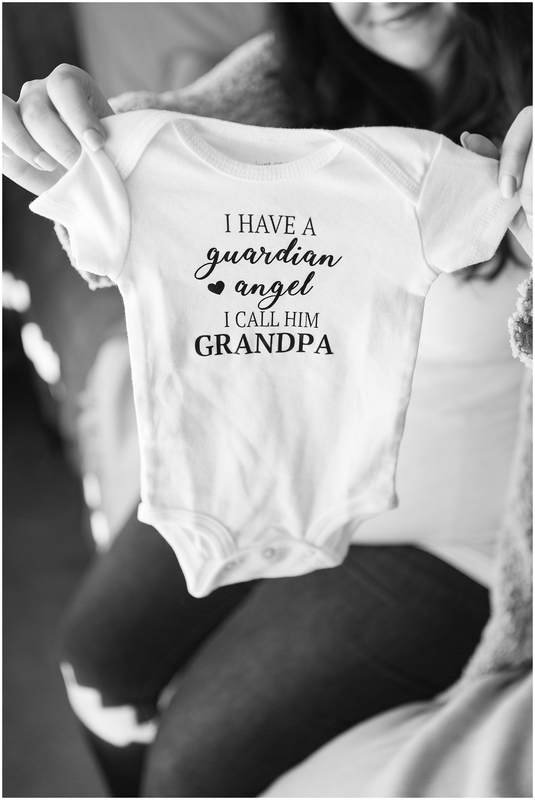 Her and her father shared a special bond, and he was so excited to be a grandpa for the first time! 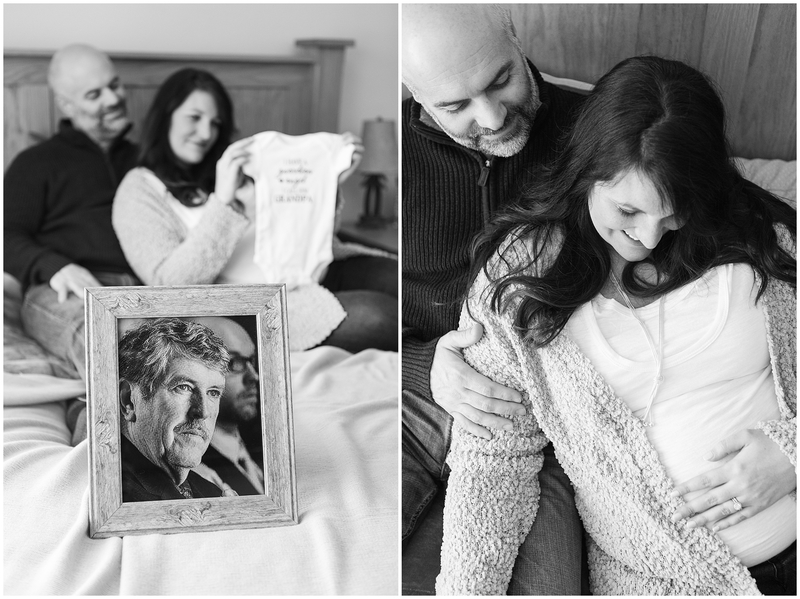 When Melissa told me she’d like to incorporate a sweet and subtle way to commemorate her dad’s memory, I instantly teared up. 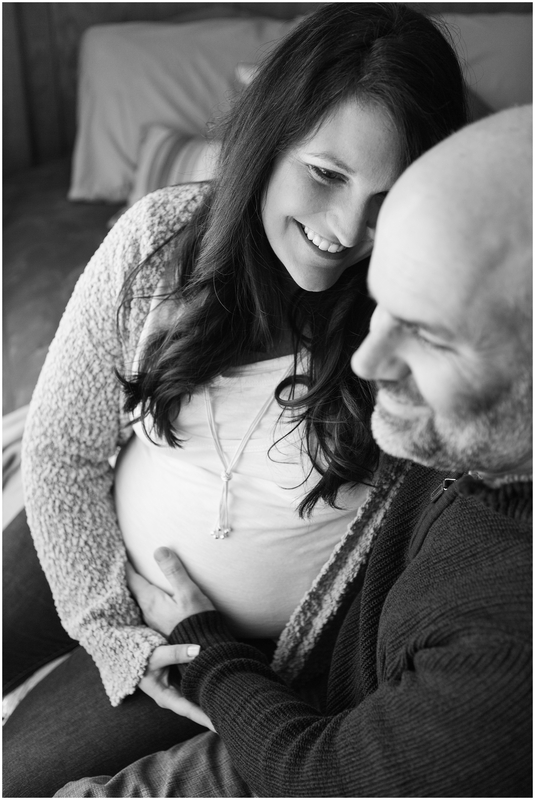 I knew this session may be hard and very emotional for her, but so worth it in the end. 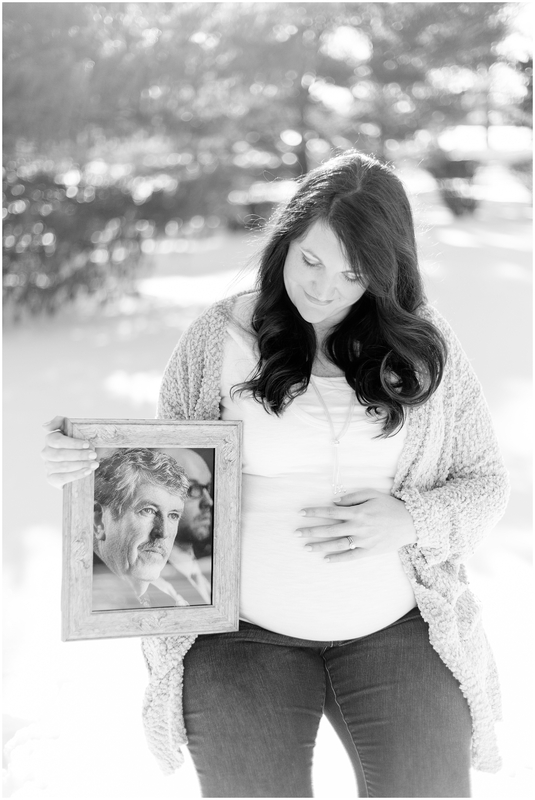 I am so excited for their son to one day look at these pictures and realize how much he was loved before he was even here, and how important he already was to his grandpa in heaven. 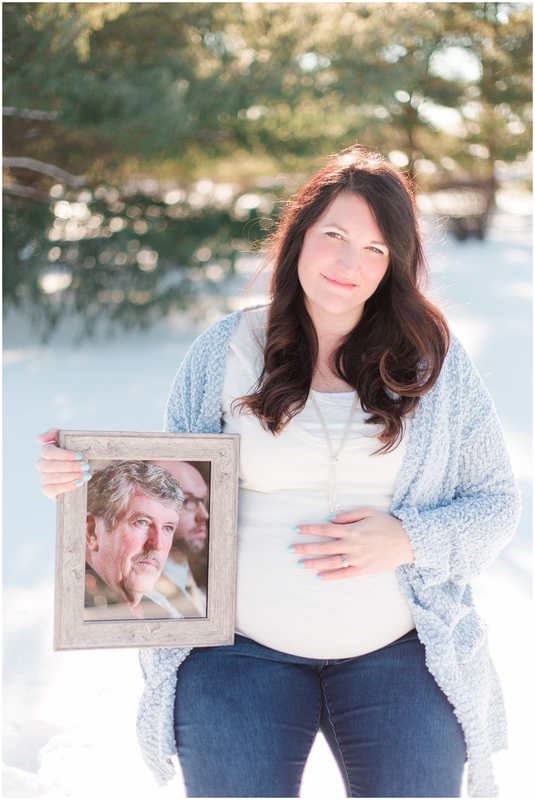 You can see her sweet tribute to her father toward the end of this post. 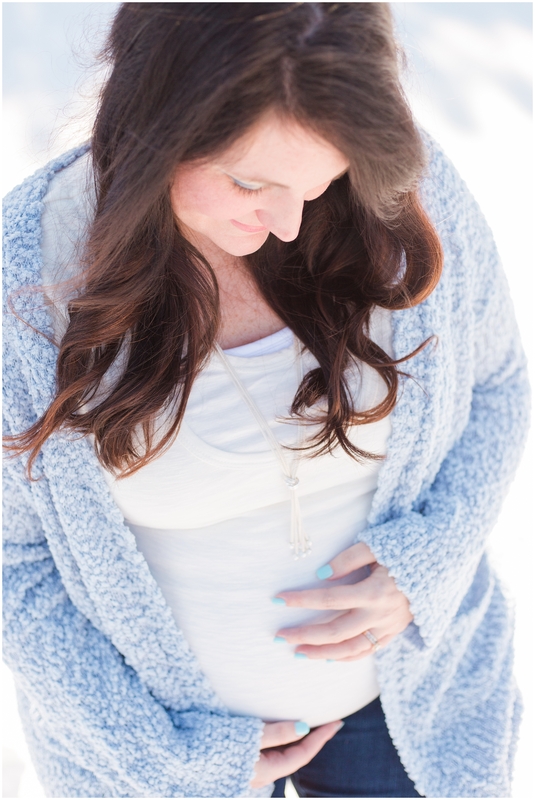 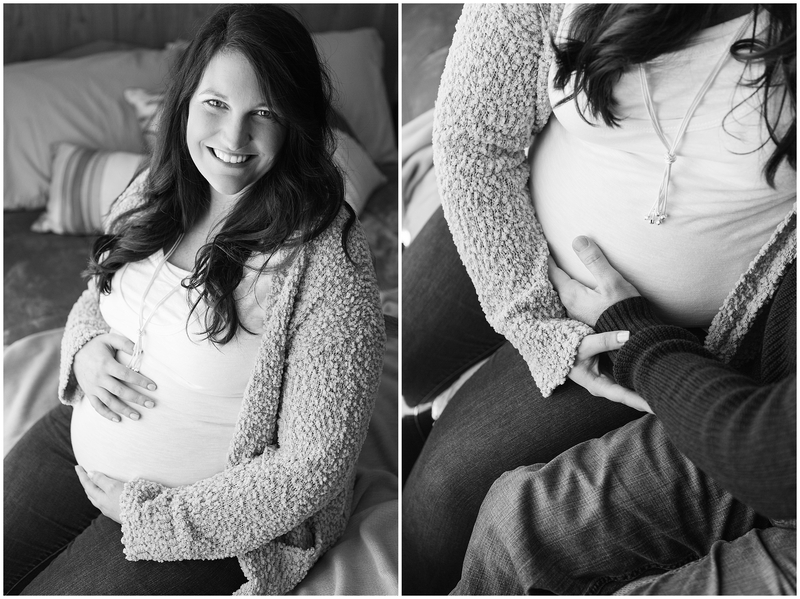 Melissa and James, I am so excited to meet your little man in just a few weeks! 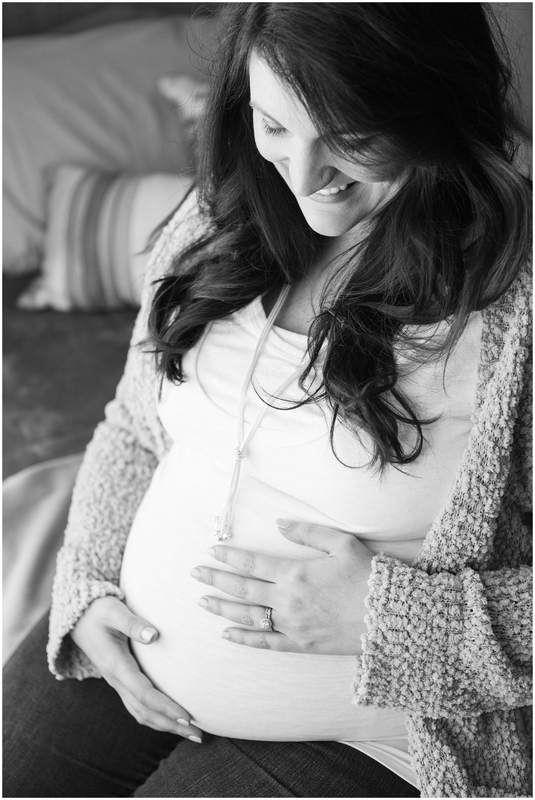 Congratulations on your beautiful rainbow baby, and may God bless your new endeavor as parents!